I believe we make sense of ourselves by understanding how we relate to ourselves, our own feelings such as anger, frustration, hope, love, as well as to others – people, spiritual beings, places of importance, images, key experiences and events. We are not always aware why we feel, think, behave the way we do. Counselling can help us unlock that awareness. This offers us greater choice in how we are, how we live our lives, hopefully reducing anxiety, sadness, hurt and finding a way to reaching greater fulfilment. There are many traditions of counselling. I am trained as an integrated practitioner, with psychodynamic as my core model. 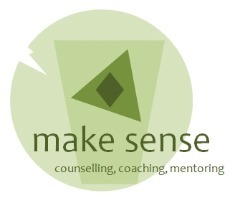 I incorporate personal construct theory, cognitive behavioural therapy and person centred therapy. I have also completed the “Essentials” in psychosynthesis. I offer a safe, confidential, supportive and non-judgemental environment. The first step is to arrange an initial appointment. This allows us to meet and explore the kind of help you are seeking and the kind of help I am able to offer. If we decide to continue we then agree a way forward. Counselling is usually weekly with an initial contract for six weeks.